(By Esther McGinely) We met Lucky when he was about 6 years old. He had never known his parents and was brought up in a children’s Home and we used to take food on a regular basis to the orphanage where he lived. He started coming to our our camps as a young boy in 1999. He was a very shy, lonely boy who found it difficult to make friends. He would always be the boy who volunteered to help us doing whatever, picking up trash, carrying boxes, anything so that he could just feel useful. When he reached about 13 years, he started coming as a volunteer helper until, as he grew, he became a Team Leader in his own right. He describes himself growing up as having very low self esteem because of being abandoned at an early age and his life in the orphanage. Question: How have the camps benefitted you? Answer: They were, for me, a life changing experience! I was always such negative person, feeling I couldn’t achieve anything in life. I was shy and didn’t know how to interact with people. Going to the camps helped me have some self-esteem and with the teaching I received there and learning about Christianity I began feeling more confident, more positive about life, and started to believe to try to reach what had seemed impossible for me. Maybe I could be worth something after all! I began to play table tennis and started to excel at it – I now play for the Kwa Zulu Natal team and even travel to different countries as a part of the team. I have just been offered a job coaching children in schools – a dream come true! 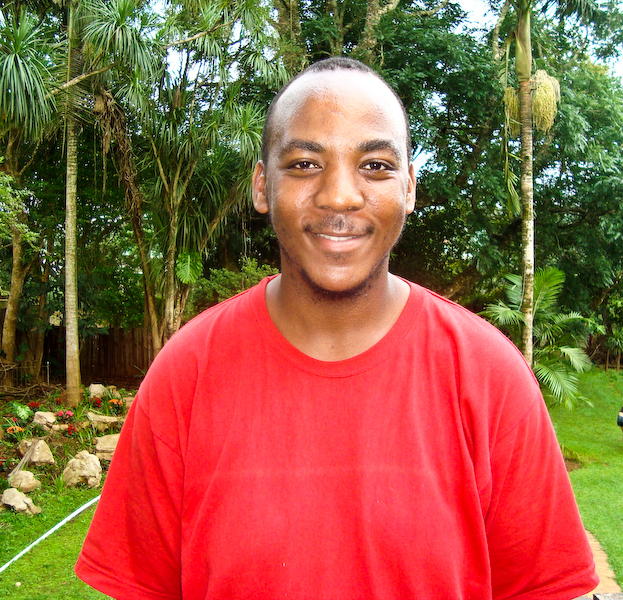 Nkululeku is another of our young volunteers who does a lot of work with us here in Durban. He also has been attending the camps since for about 10 years. He was abandoned at birth and also grew up in a children’s home. Question: How do you feel about the camps and how have they benefitted you and the other children who have attended over the years? Answer: Growing up in a children’s home is difficult, I felt different than other children. Most children in these homes do not relate to others well, they are convinced their past is too bad. When I (and other kids like me) came to the camps they help to break those barriers and realize we are the same as other kids. When I started actually volunteering with the camps it changed the way people look at me, gave me self-esteem and a real purpose.